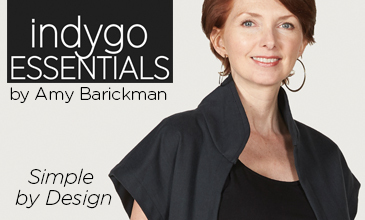 Inspiring you to enjoy an easy, fabulous, stress-free sewing life! My Sewful Life extends out from this blog into the Coats and Clark Sewing Secrets Blog, the Indygo Junction Facebook Group and, occasionally, other great online spots for sewing, too. You’ll find me showing up in several places this month! Schmetz Needles publishes a lovely digital sewing magazine called Inspired to Sew. True to its name, I always find lots of inspiration inside its covers and look forward to reading it each month! Issue 53 is all about sewing retreats and the bliss that can be found in “getting away from it all” to sew. You’ll find lots of inspiration for your own retreats and on page 9 you’ll find the supply list I put together for My Snowy Sewing Retreat this year! 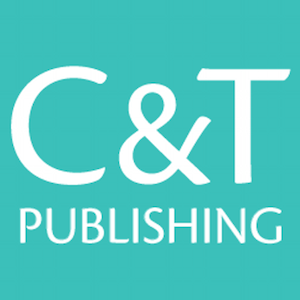 Issue 53 won’t be linked on the Schmetz web site until June 1st, but I have a link for you. A little bonus for dropping by The Sewful Life today! Click here to read Schmetz Inspired to Sew Retreat Issue #53. 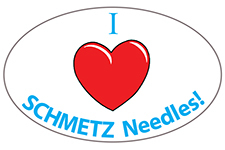 If you’ve never visited the Schmetz Needles web site, click here. It’s packed with all kinds of sewing knowledge, past magazine issues and videos! And, if you haven’t read about My Snowy Sewing Retreat yet, click here. Over on the Coats and Clark Sewing Secrets Blog, you’ll find two timely posts I wrote for this month. Prom and Wedding season can be tough on the budget, so I put together a compilation of tutorials from talented sewists who made their own Prom and Wedding Dresses and Veils! These are all pretty amazing. I’m totally in awe of the incredible Prom Dresses made by Ysabel when she was just a high-schooler! Click here to read the DIY Prom Dresses post. It includes a link to a fabulous post about sewing with Party Dress fabrics! Click here to read Sew Your Own Wedding Dress and Veil. I included the story of making my daughter-in-law’s veil, so you’ll find a wedding picture of my son and DIL in the post, too! 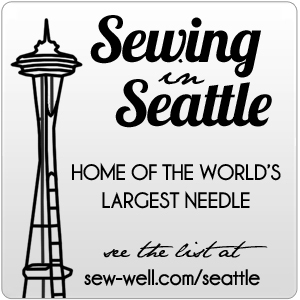 One more note: If you’ve subscribed to The Sewful Life Newsletter, then you already heard about these Sewful happenings and more. If you haven’t subscribed yet, you can click here to sign up now! That’s it for now. Back to More Blogging, More Sewing. See you soon! Next Post Our Giveaway Winner!! I’m Annette and I’m here to help your Sewful Life become easy, fun and fabulous! This blog is all about sewing a lot, loving what you make and leaving stress behind when you sew. I want your life to be awesomely full of the joy of sew! Click here to sign up and receive a FREE Double Gauze Tips & Hints PDF! 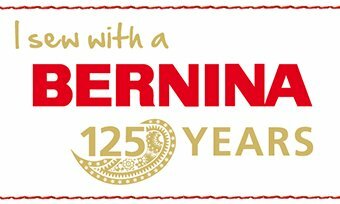 Enjoy sewing news, sale notices and other sewful goodies from Annette every week! My projects on Pattern Review! 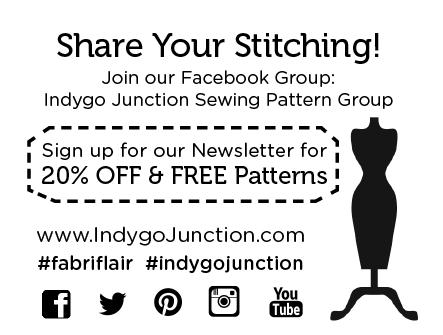 Join me over on the Indygo Junction Facebook Group!